Devenski's arbitration case was settled with the Astros, and he's slated to make $1.525 million in 2019, Ken Rosenthal of The Athletic reports. Devenski asked for $1.65 million, and Houston was willing to give him $1.4 million, so the case was settled at $1.525 million. 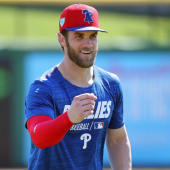 The contract includes a club option for the 2020 season and includes the option of a base increase in 2020 dependent upon how many games in which he appears this year. After posting a solid 2.68 ERA through 80.2 frames in 2017, Devenski took a step back in 2018, accruing a 4.18 ERA with 51 punchouts over 47.1 innings.